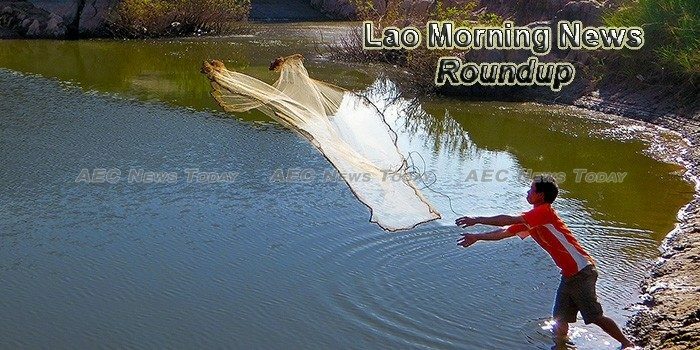 Welcome to the Lao PDR morning news roundup by AEC News Today, your one stop for Lao PDR news on matters of governance and policies affecting Asean business communities. The International Monetary Fund (IMF) has predicted that Laos’ Gross Domestic Product (GDP) will grow at 6.8 per cent this year, less than the government’s projected rate of 7 per cent. US foreign policy towards Laos, with growing bilateral ties and cooperation in recent years under former President Barack Obama’s administration, is unlikely to change despite White House administration change, according to US ambassador to Laos Rena Bitter. Foreign investor interest in Lao special zone economic zones is currently less than previous years as most try to come to grips with local regulations. General Department of Police in cooperation with Ministry of Public Security officers solved 5,739 criminal cases nationwide which occurred last year. Members of the National Coordination Committee on Money Laundering and Combating the Financing of Terrorism met in Vientiane March 1 to conclude its successful work over the past year. The Ministry of Labour and Social Welfare held on Mar 1-2 a training workshop to promote professional and leadership roles for women. Dubai Cares, Plan International Laos and Save the Children Laos have officially launched the Lao Educational Access, Research and Networking (LEARN) project to improve learning for 35,000 disadvantaged children in Laos. Authorities are exploring ways to speed up the marriage process for Lao and foreign nationals after learning of issues slowing the application process that have triggered public complaints. A 39-year-old Laotian man was sent to Stung Treng Provincial Court yesterday following his arrest the day before for allegedly smuggling about 5 kilograms of methamphetamine, police said yesterday. he authorities of Huaphan Province, one of the favourite destinations for visitors, have signed an agreement with a private company for the development of a tourism complex at the Kone Waterfall, Meuang Kao, Xone district, Huaphan Province. Some 564 students from primary and secondary schools across Vientiane Capital are expected to take part in a best student exam to be held at Vientiane Secondary School on March 14. Every year it seems to get worse; the agony of waiting for riding season to begin again. Each winter I begin poring over weather data, trying to figure out realistically how many weeks it will be before I can get back in the saddle again. This year I decided to take a different path. About the time that the bike covers and battery tenders came out, I booked myself a ticket to South East Asia: a land of ample warmth, sun and, consequently, happy riders. The Lao morning news roundup is published M-F by AEC News Today: Governance, not government; policies not politics.